Investors, looking for a nice CASH FLOWING rental property? First time home buyers? 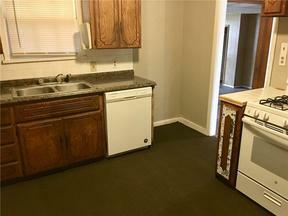 This 3-bed 2-bath 2-living areas home with storm shelter has rented for $750/mo and has been updated with new paint throughout, new flooring, new appliances, new countertops, vanity, and more. Has a large bonus living area with fireplace and full bath/shower. Garage is converted for 3rd bedroom and has separate laundry room with outside access. Just blocks from the State Capital. This is AS-IS -(Agents, see remarks). Buyer to verify all information. Price is firm.